… And the 2019 batting race is on! 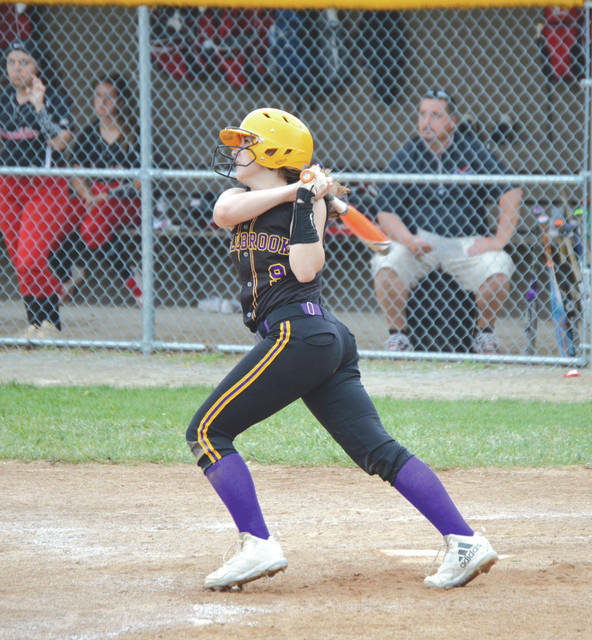 Bellbrook’s Kaley Clark won the 2018 Greene County area high school softball batting title. She could become the first person to defend her title — and win more pizza — this season. The season has just begun, but Xenia’s Joey Lewis is among the area’s top hitters thus far with a .667 batting average. Graduated Legacy Christian batter Josh Rutan won the baseball title last season. XENIA — It’s that time again. The high school baseball and softball seasons have gotten under way, and you know what that means. For the second year, the Greene County News will team up with the Xenia Pizza Hut location (at 354 W. Main St.) to present the area batting champions with an award for their hard work during the Spring season. Pizza Hut general manager Brandon Beatty presented our 2018 champions — Bellbrook junior softball slugger Kaley Clark and Legacy Christian baseball senior Josh Rutan — with $50 Pizza Hut gift certificates last season. We pushed for new cars for the winners this season, and I’m sure Mr. Beatty was all set to award that to our 2019 winners, but the Ohio High School Athletic Association kinda frowns on presenting awards of more than $400 to amateur student athletes. We could still go with a car, but that would be a really crappy car. Fifty dollars worth of Pizza Hut pizza sounded a lot better. Clark won the softball batting competition with an area-best .684 batting average in 2018. She collected 39 hits in 57 at-bats, clouting six home runs while driving in 20 runs. She also hit nine doubles, a trio of triples, scored 26 times and had a .714 on-base percentage for the Golden Eagles. She did all that as a junior, so Clark has a chance to defend her title this spring and, of course, earn herself some more pizza. Legacy’s Rutan graduated, and at last note, the 2018 batting champ was a student at Wright State University. Rutan’s .559 batting average was tops in the county among area high school baseball players. And the LCA Knight was named to the last season’s All-Metro Buckeye Conference first team. The Greene County News, which features the Xenia Daily Gazette and Fairborn Daily Herald daily newspapers, and the Beavercreek News-Current weekly, hosted the inaugural Greene County Batting Championship for both softball and baseball for the 2018 seasons. The hope was to bring more attention to the area’s softball and baseball talent, while recognizing the top batters with a fun contest. The inaugural event’s success has brought the competition back for a second year, and we look forward to more fun this season. Area high schools Bellbrook, Beavercreek, Carroll, Cedarville, Fairborn, Greeneview, Legacy Christian, Xenia and Yellow Springs were involved in both contests. Players from those same schools in our coverage area are eligible to win this time around, too. Because rain tends to wreak havoc with outdoor spring sports schedules, it’s quite possible that one batting champ will have fewer at-bats than another. We stipulate that batters must have batted 1.1 times per game their team played for an entire season. That way, if someone who gets off to an amazing start and is batting 1.000, but they don’t play the rest of the season, they will not only miss the rest of the season, but they won’t win this contest, either. Batting averages count for the regular season only. All disputes will be handled by Greene County News staffers in some democratic manner … probably involving a series of coin flips and a dart board. We hope to present batting average updates either weekly or bi-weekly, depending on the weather and how often the statistics change throughout the season.. So best of luck to everyone. Swing level and often. And most of all, have fun playing baseball and softball for your school, your coach and your teammates. https://www.xeniagazette.com/wp-content/uploads/sites/32/2019/03/web1_KaleyClark_PS.jpgBellbrook’s Kaley Clark won the 2018 Greene County area high school softball batting title. She could become the first person to defend her title — and win more pizza — this season. File photos. 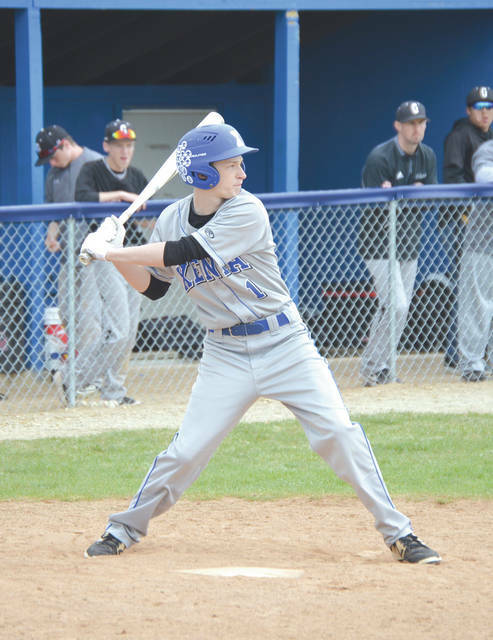 https://www.xeniagazette.com/wp-content/uploads/sites/32/2019/03/web1_JoeyLewis_PS.jpgThe season has just begun, but Xenia’s Joey Lewis is among the area’s top hitters thus far with a .667 batting average. Graduated Legacy Christian batter Josh Rutan won the baseball title last season. File photos.